Many professional athletes are sidelined when they sustain an anterior cruciate ligament (ACL) tear. When a professional athlete sustains this injury, you will often hear reports of the injury, the recovery, and the chance to return to sports. But sports commentators often say things about ACL surgery that are more myth than fact. Learn more about this surgery and how it is likely to affect the athlete. Myth: "Athletes Are Never the Same"
Not every athlete has a full recovery after ACL surgery, but the odds are good. More than 90 percent of athletes are able to return to their pre-injury level of activity after ACL reconstruction surgery. Professional and Olympic-caliber athletes have come back to compete at the highest levels of soccer, football, basketball, and other sports. It's possible to perform as well as before the surgery. High-level athletes often come back from injury better athletes than before their procedure. Elite athletes can regain their sport-specific skills relatively easily. However, they may be able to devote more energy to some aspects of training that have otherwise been neglected. By focusing on core strengthening and flexibility, elite athletes can gain a competitive advantage. Myth: "New Surgical Techniques Are Better"
ACL reconstruction surgery has been around for several decades. There are constant refinements to the techniques, but little has changed about the fundamentals of ACL reconstruction. Athletes would have had a similar prognosis a decade ago. Some of the new modifications of ACL surgery have not been shown to have improved clinical outcomes. For example, double-bundle ACL surgery was experimented with as a technique to more closely replicate normal ACL anatomy. However, this has not been shown to have effects on an athlete's ability to return to sports. Myth: "The ACL Will Be Repaired"
ACLs that are completely torn are generally not repaired, they are reconstructed. The damaged ACL is completely removed as there is rarely potential for healing of a torn ACL. In order to have a functioning ACL, a new ligament must be created. The procedure is called an ACL reconstruction and not an ACL repair. A good analogy to understand an ACL tear is to imagine what was once a tightrope being torn and looking like a frayed mop end. Sewing the mop ends together would make for a weak, poorly functioning rope. In order to repair the damage, a new ACL is needed. There have been some experimental procedures to repair the ACL, and there are currently clinical investigations into a technique to repair the ligament. It's much too soon to know if this repair technique is as effective as traditional ACL reconstruction. Myth: "ACLs Must Be Normal for Sports Participation"
The ACL is one of four major knee ligaments that contribute to knee stability. When an individual tears one of these four ligaments, the knee may become unstable. Some people who tear an ACL don't have complaints of instability even when doing sports, others have instability episodes with even simple non-sporting activities. 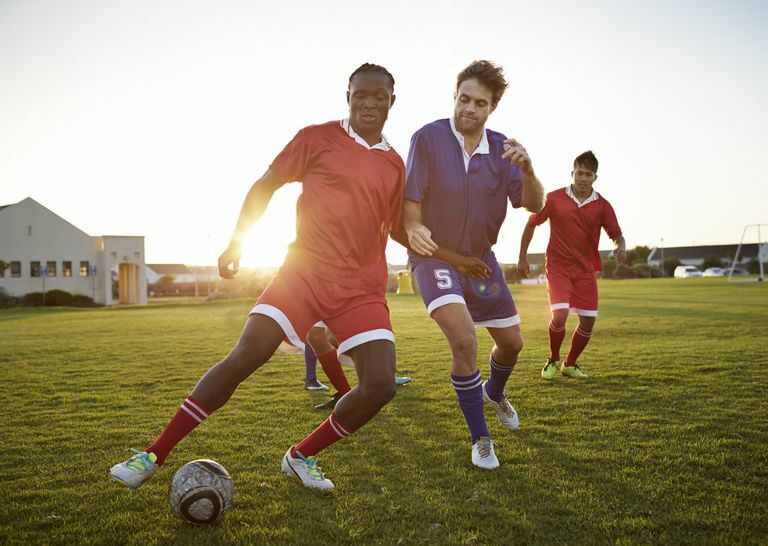 Some sports almost always require participants to have an intact ACL, however, many sports don't. It is certainly reasonable to try nonoperative ACL treatment for a return to some sports. Myth: "ACL Surgery Will Cause Scars and Stiffness"
As mentioned previously, ACL reconstruction surgery is constantly being refined and surgeons trained in this specialty are able to perform this as a minimally invasive procedure. In skilled hands, incisions can be kept small. A better understanding of pain control, including preemptive pain control techniques (controlling painful symptoms before they start), can make ACL reconstruction well tolerated by most patients. One option that helps to limit pain and scarring is to use cadaver grafts (donated ACL grafts) rather than a tendon from the patient. When a cadaver graft is used, incisions are minimal, less than a few centimeters total. The caution is that in athletes, donor grafts have been shown to be less strong then a graft taken from the patient. For this reason, most high school and college-aged athletes will select their own tissue for their new ACL. Myth: "Having Your ACL Done Means More Surgery Down The Road"
While it is true that more surgery may be needed, the goal of the surgeon is to repair the knee so that it functions normally. Once an ACL has been reconstructed, the expectation is that it will function normally for the life of the knee. Myth: "ACL Surgery Requires Prolonged Immobilization"
ACL rehab takes a minimum of several months, but that does not mean patients are sedentary. Most modern ACL rehab protocols get patients moving right away after surgery. In some ACL rehab protocols, patients start motion exercises the day of surgery. It is true that restrictions are necessary, and often an athlete's urge is going to be to perform more than his body is able to tolerate. Monk AP, Davies LJ, Hopewell S, Harris K, Beard DJ, Price AJ. Surgical versus conservative interventions for treating anterior cruciate ligament injuries. Cochrane Database of Systematic Reviews. March 2016. doi:10.1002/14651858.cd011166.pub2. Sherman S, Raines B, Naclerio E. Management of anterior cruciate ligament injury? Whats in and whats out? Indian Journal of Orthopaedics. 2017;51(5):563. doi:10.4103/ortho.ijortho_245_17.